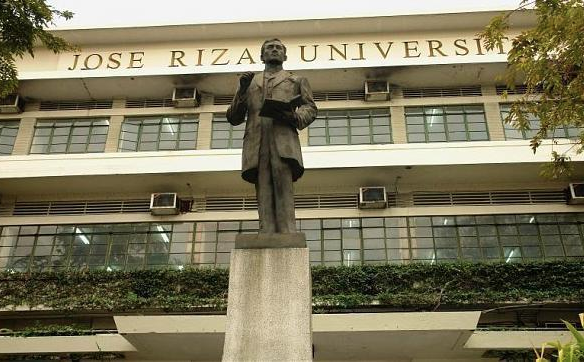 José Rizal University (JRU) prides itself for being among the most inexpensive private universities in the country that offers quality education. It is a non-stock, non-profit, non-sectarian private educational institution founded in 1919 by Don Vicente Fabella based on the ideal of good education available to all. It has since blazed a trail in commercial education and continued to break new ground in various fields by combining advancements in teaching methodology and information technology to provide students with basic tools that will prepare and equip them to succeed in today’s rapidly changing technological world as well as develop their personal and intellectual qualities. JRU has established strong ties with universities both here and abroad to facilitate on-going cultural exchange and faculty dialogue and collaborations. Partnerships with major industry players for curriculum development ensure that students are exposed to the standards and demands of industry. To this day, the University continues to build on its foundation of academic excellence through a roster of topnotch faculty, superior facilities, and well-planned programs in various disciplines that have received numerous accreditations. As a testament to its commitment and contribution to the promotion of quality education, JRU has recently been granted Autonomous Status by the Commission on Higher Education (Resolution No. 013-2009 dated October 6, 2009). Only two percent of the academic institutions in the country have accomplished this and 15 come from the National Capital Region. In addition, the University has also maintained its deregulated status since 2001, a distinction only 50 universities in the Philippines have achieved.